The crisis at the Fukushima Diiachi nuclear power plant is bringing renewed attention to the disciplines of risk and crisis communication. Neither can be practiced well without being understood as disciplines in themselves – apart from, but in support of, the technical response to an emergency that threatens public safety. Doug Bedell, our Encore associate, has had firsthand experience with nuclear power risk communication. Doug and I met at Three Mile Island Unit 2 after the 1979 accident there. He was TMI’s new communication manager and I was a recovery engineer at Unit 2. His office was downstairs from mine at the TMI-2 Admin Building and we’d consult regularly on matters related to the safety of the plant and preparations for defueling the damaged reactor. 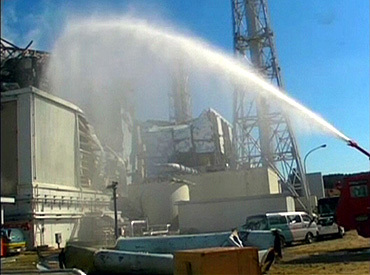 The communication setting at Japan’s Fukushima nuclear reactor may be stabilizing, as (one hopes) is the nuclear emergency there itself. Yet it’s unfortunate there were communication alarms in the first place. Add U.S. Nuclear Communicators Again? U.S. nuclear power plants are probably going to have to become more relational again, much as they did after the 1979 accident at Three Mile Island Unit 2. They maintained visitors centers then and some, like TMI itself, gave walking tours of the plants. But TMI’s visitors center has been closed for several years now and tours of the two units there – one shuttered and the other operating well – are no longer available. That’s at least partly because of concerns over terrorism, but it may also be a way of economizing somewhat on the expense of running the plants. Whichever, it’s been unfortunate that U.S. plant operators have been hunkering down again. Now, from Japan, comes upsetting evidence that when something goes wrong at a nuclear plant – and Fukushima features U.S.-designed reactors – it can go terribly wrong. The plants haven’t been designed to withstand everything that can possibly happen, like a roaring tsunami topping a protective seawall. 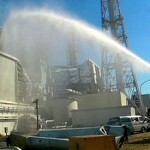 The details of the nuclear accidents underway in Japan as we write will take months, if not years, to analyze. But as someone with decades of nuclear industry experience (including working on the recovery of Three Mile Island Unit 2), when the results are in I expect to be angry not at the technology, but rather about how we implemented it. 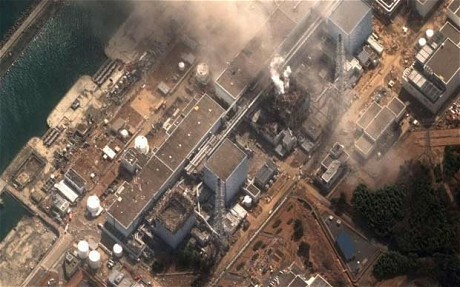 I don’t know what the design basis seismic event was for the Fukushima Daiichi Nuclear Power Station, but it was certainly less than the unprecedented 9.0 earthquake that struck on Friday. Nonetheless, when the accident is investigated I suspect we may well find the reactor would have shut down normally, even during this beyond-design-basis event, had we done but a few things differently. Energy: When Will We Get Real? With gasoline prices topping $3.50 a gallon nationally, it’s not hard to find energy-related newsfeeds on the web, or maybe we’re just more aware of them. Yet their overall message is that there is still no concerted U.S. policy for conserving energy and promoting alternative energy sources. And that remains dismaying. The thing about government is not whether it’s bloated or barren, but whether it’s effective – whether it can attract competent people to achieve necessary, cost-effective goals. People like U.S. Energy Secretary Steven Chu, who just happens to have a Nobel Prize in physics. President Obama added Chu to the “fire brigade” that helped deal with the British Petroleum oil spill in the Gulf of Mexico last year. Chu suggested using high-powered gamma rays for getting images of the well’s blowout preventer. After initial skepticism, BP engineers agreed he was right.